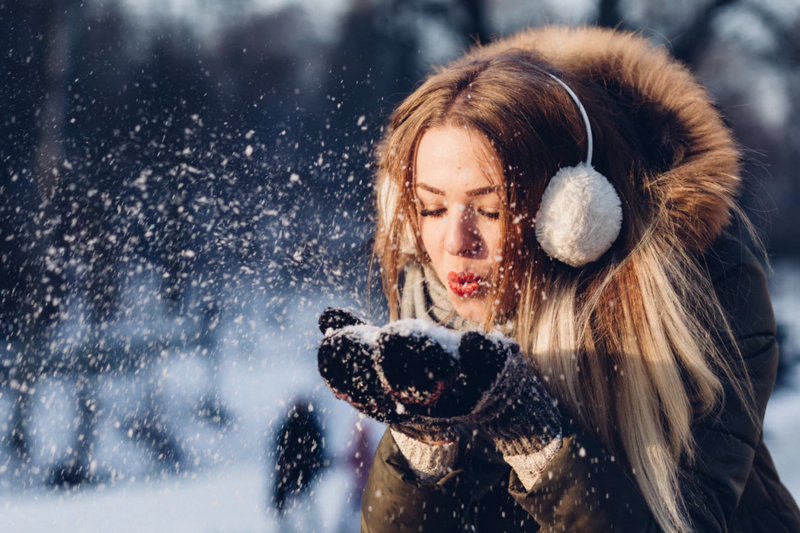 They say that your face will be frozen and covered with a thin crust of ice, if you go out after moisturizing your face when a temperature is below zero outside. It is a popular beauty fear, especially, in winter. And almost every woman has thought about it at least once in her life. Some experts say that this is nonsense, others admit that there is some truth in it, because moisturizing creams contain water in large quantities. By the way, most experts agree on one thing: in winter, the overall care system needs to be changed. And now we are going to tell you how. You must remember an important rule: in the morning the skin needs nutrition and protection, in the evening – moisturizing and regeneration. This means that it is not right to use a moisturizing cream in the morning, it brings your skin more benefits in the night. You should obviously use as a foundation a day cream, which will nourish and protect the skin. Choose a product with a dense texture, but do not forget about the individual features of the skin. Owners of dry type are recommended to use rich cream with oils, wax, lanolin, silicones, those who have oily skin – less saturated cream, but still with a dense texture. Excellent, if your day cream includes an SPF-factor. It`s necessary for you in winter as well as in the summer. Important! Remember that almost any cream, even nutritious, contains water, so it is better to apply it at least half an hour before going out. As we have already said, moisturizing creams do an essential task in skin care when it`s cold. Do not skip this step; otherwise, the skin risks becoming dry and dehydrated due to temperature differences. Do not forget that creams cannot protect your skin fully. At this time of year, a skin needs an intensive care: products with protective, firming, soothing ingredients. Pay attention to serums, masks with lipids and peelings. I usually use Nuxe ‘Rêve de Miel’ lip balm and Fresh ‘Seaberry’ moisturizing face oil to protect my skin in cold weather. They avoid dry skin and make it smooth. Sometimes I wear these products overnight for maximum effect. I do not use the moisturizing cream at all. Only tonal products in cold weather. My skin feels perfect.